Many smart-home gadgets are designed to give you increased connectedness and convenience. For example, you can save energy and money by using a smart thermostat, or you can protect your home with a smart smoke alarm or security system that will send real-time activity notifications to your mobile phone allowing you to take immediate action if necessary to protect your home. Are you inching your way toward increased connectivity? The number of possible devices may seem daunting at first, but fear not. The journey to a more connected home is an exciting adventure. The gadgets are cool, the setup is easy and the functionality will make your life better. Who doesn’t want to automate their vacuuming or increase their home security? The best tip on how to begin is to start simple. You don’t need to outfit your whole home with every device. Just think of which device would make you happiest or add value to your life. Have you already begun to outfit your house with connected devices? If so, you’re perfectly positioned to add convenience, functionality and security by expanding with more gadgets and more integrations. If you’re at this stage, the thing you should pay attention to is how your smart-home products can integrate with one another. Maybe you want your security system to connect to your phone so it can auto-dial the police if there’s a problem. Or maybe you want to think about how a hub like Amazon Echo can be your central point for managing your other devices, like the thermostat or the lights. A recent PwC study found that one in four consumers (26%) own a smart-home product, and 98% of users are satisfied with their smart-home device. The primary hesitations for purchasing smart-home technology are price (42%), and data privacy and security (17%). On the other hand, the reasons to choose smart-home technology are wide and varied, with popular reasons being the ability to have better control of the home (12%), increased safety (10%), affordability and the desire to try it out (10%), and increased convenience (10%). The majority of consumers (65%) say they are excited about the future of smart technology as part of everyday life in their home. On that note, let’s jump into our guide to smart-home devices. From televisions to baby monitors, here is the breakdown of smart devices to help you outfit your home. Hubs and Controllers: Devices like Amazon Echo are a way to outfit your home with a central hub. Not only can you use it as a point of connectivity to your other smart-home devices, it’s intelligent personal assistant, Alexa, lets you complete tasks via voice command. By simply talking to it, you can change your playlist, set your alarm, make a to-do list, research information or integrate with Google calendar. 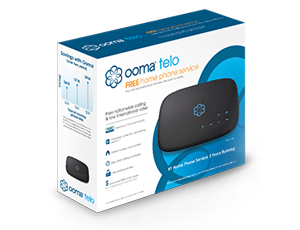 Telephone: Ooma’s VoIP telephone service gives you free calling to anywhere in the U.S as well as integration with smart-home technologies, including Amazon Echo, Nest, Apple iOS, Android Gear, Philips Hue, LIFX, Belkin WeMo, Dropbox and Google. If you’re just getting started with Ooma and you already have Amazon Echo, you can initiate a call or listen to voicemail using Alexa. Just search for Ooma under Alexa’s skills. You’ll get 300 minutes of free calling each month, with a 1,500-minute lifetime maximum. 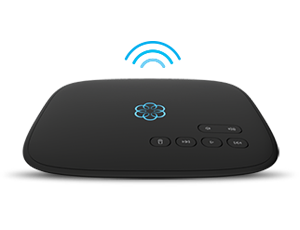 For a long-term telephone solution with no monthly minute caps, upgrade to the Ooma Telo. Thermostat: A smart thermostat can help you save money and energy. Devices like the Nest Learning Thermostat are customizable and capable of learning your habits and temperature preferences. For example, the device will learn to automatically raise the temperature when you get out of bed! It’s a connected device, so you can control it when you’re at the office, away on vacation or just on the couch and don’t want to get up. Refrigerator: Have you ever been at the grocery store and wished you could simultaneously peek into your fridge to see if you still had milk? The new smart refrigerators have large touchscreens as well as interior cameras you can check via a phone app. Television: Integrating Internet capabilities into your television allows you to wirelessly stream Netflix, for example, without any added devices. A smart TV is the mashup of a set-top box and a computer so your TV seamlessly integrates all of its functionalities, including connectivity with game consoles and smartphones. Washer/Dryer: Getting smart about laundry can help you reduce your energy consumption and monitor your clothes as they wash or dry. Never again will you have to listen for the beep to know when your cycle is done. With these smart devices, you can check your phone to see the status. Oven: The built-in camera on your smart oven will let you keep tabs on your roast while freeing you up to get out of the kitchen. And for those who are not as skilled as a cook as they’d like, some models have the capability to detect what dish you’ve put in the oven. All the chef has to do for that medium-rare steak is insert an instant-read thermometer and enter in the desired cook temperature. The oven will automatically program a cook cycle so your only job is to eat the results. Light: Smart light bulbs let you customize your living space and can even act as a security measure while you’re travelling. LIFX and Philips Hue are the two leading brands of Internet-capable LED light bulbs that you can control remotely or program. Also available are smart light switches that allow you to control the switch rather than the light bulb. Electric Outlets: Using a device such as the WeMo, you can automate just about anything that’s plugged into a wall socket. Smart plugs or smart outlets give you virtual access to anything from coffee pots to space heaters. A power-saving tip: Plug in a single power strip with all your entertainment center gadgets. At night, power down the single outlet that controls your whole system to be sure that sleep modes are not leeching your electricity. Robot Vacuum: Who doesn’t want to delegate the vacuuming to an automated droid? These handy devices are able to remember the layout of your house, can dispose of the dirt themselves and can park themselves back at the charging station. While these gadgets don’t replace a human-pushed vacuum cleaner, they are an excellent way to perform routine cleans without having to lift a finger. Smart Scale: Now that we have wearable fitness devices and workout apps, you can now digitally track your weight loss by using a smart scale. In addition to charting your weight loss progress, many devices will also track things like body fat, bone mass and muscle mass. Motion Sensors: Smart security detects activity when you’re not home and delivers alerts to your smartphone. As part of the Ooma Home Monitoring platform, a network of up to 100 door and window sensors can be installed to keep you protected. The real-time notification with the ability to dial 911 remotely from your home phone means that you’ll be able to speak with the local emergency dispatcher and maybe have the cops arrive at your home while the burglars are still inside. Cameras: A network of outdoor and indoor security cameras can capture video surveillance of your home so you can report any suspicious behavior or identify any criminals. The Nest Cam and Nest Cam Outdoor are Wi-Fi-enabled devices that offer video backup to the cloud, night vision and two-way talk. Smart Locks: Whether you’re looking to supplement or replace your traditional lock, a smart lock lets you keep track of the comings and goings at your house. Some devices, like the August, are Bluetooth-enabled so the door will unlock as you approach. Other devices, such as the Apple HomeKit, are voice-activated to open the door at your command. Security Lighting: Motion-activated outdoor lights are useful when you’re walking up to your own front door, or for warding off anyone creeping through your yard. Many devices seamlessly integrate with your other smart-home products. Video Doorbell: An Internet-connected doorbell lets you monitor your front door with your smartphone. The device is activated by a guest pressing the doorbell or by a motion detector. Using the app, you can see live video of your doorstep as well as have two-way voice communication with the person at your door. Some devices even have integration with smart locks so you can remotely let someone into your house. Water Sensors: Integrating into your network of up to 100 sensors, Ooma’s water sensors will give you real-time notification if your pipes have sprung a leak. An unexpected water disaster can get more costly the longer it goes on, so these smart water sensors help you get the situation handled as quickly as possible. Smoke Detectors: We all know how important it is to have smoke and carbon monoxide detectors in your home. Now the Nest Protect can add some high-tech features to this safety device. The device warns of an alarm sound briefly before it goes off, and it can shut off the furnace in the event of a fire or carbon monoxide detection. Try using voice-activated commands to test its functionality. Baby Monitor: Outfitted with a camera and a microphone, you’ll be able to check in on your sweet babe no matter where you are. Even if your little one is under the care of your trusted babysitter, the phone app will notify you of activity so you can catch a glimpse of baby giggles while you’re at the office. Smart Blinds: Your window treatment can now be automated. Whether you’re looking to retrofit your existing blinds or purchase motorized blinds, you can now use voice commands or an app to raise or lower the blinds. There are also options for further automation, such as closing the blinds if the temperature gets too hot. Smart Charcoal Smoker: Wi-Fi-enabled smokers keep you updated via your cell phone with real-time information like meat temperature, chamber temperature and alerts concerning when to start preparing for dinner. Like a smart oven, these smokers come outfitted with pre-programmed settings so you can keep weekending without worrying about dinner. Smart Lawn Mowers: Would you rather spend your precious free time mowing the lawn or having that chore automated? If you’d like to delegate mowing the lawn to a machine, there is a new line of smart lawn mowers hitting the market. My husband has been really interested in getting some smart home devices, but he doesn’t know where to really start. I’m glad you mentioned that if you have already started to integrate some products, you should think about how more products will interact with one another. That is a good idea to take that into consideration.